Key Difference: Windows 8 was launched to make the system uniform on tablets, PCs and laptops. Windows 8 offers a new Live Tile Start Menu that is similar to the ones available on Windows phones. Windows RT is an operating system that is available for tablets and PCs. This system was developed for running on ARM architecture. This is the only system that runs on the ARM architecture and is not compatible with Intel based devices. 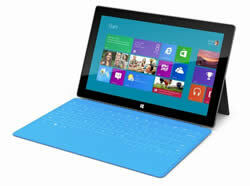 Windows 8 is the latest operating system by Microsoft for its PCs, laptops and tablets. The newest OS hit the markets in October 2012 and had a whole new look. The company has launched the operating system keeping in mind the constant upgrade from keyboard and mouse PCs to touch tablets. Windows 8 was launched with touch compatibility in mind. The system sports a whole new Menu Screen, with a new ‘Live Tile’ format similar to those found in the Windows phones. These tiles automatically update to show users new e-mails, friend requests, appointments and other information. Windows 8 also supports new advancing technology such as USB 3.0, 4Kn Advanced Format, near field communications, cloud computing, and the low-power ARM architecture. This is the first OS that allows ARM architecture support, with the previous OS only supporting IA-32 and x86-64 architectures. It also offers built-in antivirus capabilities and advanced security features. Other features that make this OS handier are the Windows Store and app compatibility. The OS supports apps and are allow certain apps to dock on one side of the screen, while other apps can open in to proper programs. The OS also allows users to purchase and download apps from the Windows Store and use them on their laptops, PC as they would on their smartphones. Windows 8 is offered in four editions: Windows 8, Windows 8 Pro, Windows 8 Enterprise and Windows RT. Windows 8 comes pre-loaded on the new PCs by the company. Windows 8 Pro is aimed at power users and professionals. Windows 8 Enterprise is aimed at business environments and is available through volume licensing, while Windows RT is the only edition comes preloaded on new ARM-based devices for Windows. 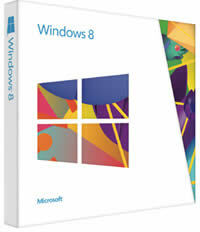 Windows 8 is known as the ‘core’ version and is the basic version available for the software. Windows 8 is aimed at all the home users and is also available through OEMs on the latest laptops and PCs by the company. Windows 8 offers all the features that were available on the Windows 7 professional edition. Features include the new Smart screen, live tiles format, touch capability, built in apps (Mail, Calendar, Messaging, Photos, and SkyDrive), syncing capabilities using cloud network, Internet Explorer 10, Windows Defender, Windows Firewall, Windows Update. It also allows select business features such as ability to join a domain, encrypting the system’s disk using BitLocker, ability to log in PC remotely, Remote Desktop, VPN, ability to combine multiple hard drives into one storage, ability to mount VHD and ISO images. It also offers the multiple language package that enables the user to convert the whole interface in another language. Windows RT is an operating system that is available for tablets and PCs. According to the company’s website, “Windows RT is a new Windows-based operating system that's optimized for thin and light PCs that have extended battery life and are designed for life on the go.” The main purpose of this OS was to make it portable placing maximum focus on optimizing battery life. The system is not for retail sale and is only available through OEM purchase, meaning it can only be bought pre-loaded on a device. This system was developed for running on ARM architecture. This is the only system that runs on the ARM architecture and is not compatible with Intel based devices. Windows RT is not compatible with certain software and does not support certain applications such as Windows Media Player. The system is also available with a special version of Microsoft Office dubbed ‘Office 2013 Home & Student RT’. This version of Office is not compatible with the Windows 8 OS for PCs and can only run on RT OS. The system only supports desktop applications that came with the operating system and other desktop applications can be downloaded through the Windows Store. The system will not support desktop applications that run on Windows 8 or any other Windows operating systems. Windows RT is able to support many of the same hardware as the Windows 8, so it is compatible with existing devices and peripherals. Though, Windows RT supports Exchange ActiveSync, the Windows Intune service, or System Center Configuration Manager 2012 SP1, it does not support connecting to a domain for network logins or using Group Policy for device management. The following table has been taken from Wikipedia.org. Can be virtualized by RemoteFX?